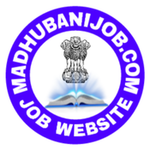 Post Name :- Bihar PHED Junior Engineer Online Recruitment, Merit List 2019. Short Information :- Public Health Engineering Department, Bihar Are Invited to Online Application From for the Post of Junior Engineer AE Civil Recruitment in Bihar 2019, Those Candidates are Interested to the Flowing Recruitment and Complete the Full Eligibility Criteria Can Read the Full Information Before Apply Online Form. Diploma in Civil Engineering in any Recognized Bord in India.